Quotes are the best source of inspiration and learning. While working on UX design, UX quotes act the similar way for UX designers. They get inspiration and stay motivated by going through the related quotes again and again. I love to collect and read quotes in general, and specifically related to UX design. These quotes are actually guidelines that help me to learn about UI/UX and I can easily find solutions to my problems in them. Below is a collection of UX quotes that will guide you in various aspects of your design journey. The first step to solve a problem is to clarify it, only then you can propose a solution. To make clear understanding of your design problem, meet your user and ask him questions about the requirement. Define the problem in your own words. Make a plan to work on it. Then focus on the possible solutions. Working on a problem which is not well understood can lead to incorrect and irrelevant solutions. Be consistent with your design. Your user feels very comfortable when he finds familiar experiences while working in your product. Providing a separate solution each time you solve a problem will lead the user to confusion. Consistency, on the other hand, helps the user to find the information easily he is looking for. You need to take care of consistency for visual design of your product as well as the experience you are providing to your user. Use your imagination to predict the user’s possible interactions with the product you are designing. Then turn your imagination into visual mockups and see whether they are making a sense or not. Try again if you do not feel good about your ideas. You can create correct designs only if you work on your mistakes again and again. No one has designed an amazing product in a single attempt. Dream for the best and work for it. Do not sit for an ordinary design. Try until your inner self is satisfied with what you have designed. Try to go beyond your user’s expectations, so that when they see your design they get a pleasant surprise. Go out of the way to help your user. The best can only be achieved when you aim for it. If you ignore your user, they will ignore your product.Keep your user first in your mind. See him, observe him and talk to him. Do not make decisions without taking his opinion. Make him part of your design process. Own his problems. Learn from his complaints. Only then you will be able to make a product usable for him. In this competitive and crowded world, only real and good design can help you to stand out in the industry. To distinguish yourself, you have to follow few rules. Make extra efforts to serve your user. Target his pain points and address them. Follow a proper design process as this will help you reach towards your goals more effectively. Do research. Keep yourself updated and never stop learning. Learn from web, learn from your environment, and learn from people around you. Before comparing to others, compare your own versions of work. If you are getting better, no doubt you are moving towards success. Good design is expensive, but bad design costs even more. The consequences of a bad design can be dangerous for you. You lose the trust of your user. You earn a bad repute in industry which can be very expensive to change. You spend money on building and re-building your design. Hence, it is better to spend reasonable time, money and efforts to build experiences that can make a difference. Keep your user’s objectives in your mind and think of the possible ways to meet them. You are not your user, neither people around you are your users. Never try to impose your likes and dislikes on your design. You are not designing for yourself. Everyone around you can be a designer. But everyone should not design. It is your job to know about your stakeholders, and to know when to involve them in design process. You can take their feedback, but do not allow them to drive you. Keeping everyone involved in your process and getting a lot of feedback can harm your creativity. Becoming an expert in UX field requires a lot of effort, time and research. It has nothing to do with someone’s likes/dislikes. If user is able to achieve his goal easily while working on your product, then you have designed something which is easy to use. Make careful decisions while committing any additional functionality for your product as if you provide a lot of features, then you may have to compromise ease of use. Make ease of use your priority. Ease of use is the first thing that a user is going to feel in your product. So, come up with thousand ideas and not with only one. Learn from your mistakes. Your thousand ideas will move you towards a refined one that can have the ability to change the world. This is very true in designing user interface. You reach towards the best approach after trying many interim ideas and options. These interim options help you to learn a lot and make you an expert in your field. Just think, whenever you use a product, app or a website, how many times you refer to the given manual, user guide or any help? Most of us do not bother to open any kind of help but instead we leave the site if we do not understand how to proceed. A design should be self-explanatory and understandable for the user. Keep things simple. Do not complicate your product with extra features. If you are working on a complex product, then make a clear difference between basic flows and complex scenarios. There is a big audience who is interested in basic features only. Do not make things difficult for them. Make complex features accessible to relevant users only. It is very easy to make things complex. The real challenge is to make things simple and easy for the audience. Users of all age groups learn how to use a smart phone very quickly and easily. This is an example how simplicity attracts a large number of users. To make things simple, avoid distractions in design and provide efficient ways to fulfill the requirements quickly and easily. Don’t spend too much time on planning. If you have an idea, put it down on paper, screen or whatever way you want to share it. You will see that ideas are coming like anything. If you do something wrong, then only you will be able to make it right.The only necessary thing is to make sure you love what you’re doing. User interface is different than user experience. Making beautiful interfaces will not take you anywhere unless it is fulfilling your user’s needs in an efficient way. If user is not comfortable with your product, then it is of no use. Your user will always remember the experience your product is providing him. To earn user’s confidence and trust, it is essential to provide him satisfying experience. 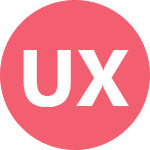 Next ›How to Standout at Start of Your UX Career?